Illuminating 4K timelapse shot from ISS. I can fall asleep in-front of the big TV watching endless live streaming of this. Question: is there an internet live stream of this new 4k UHD service? 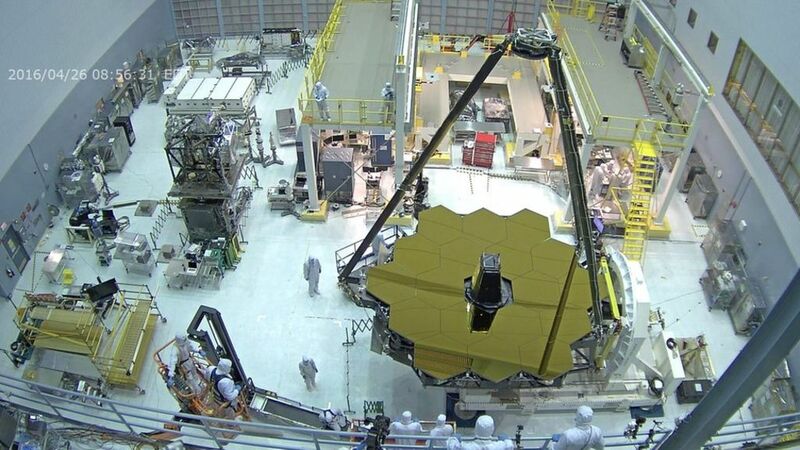 The covers come off the huge mirror that the James Webb Space Telescope - the planned successor to Hubble - will use to detect the light from the first stars to shine in the Universe. People wishing to access the processors must request an invitation through a web form that asks for a user's institution details and level of computing experience. It's a robot if you missed it. Mercury completes journey across Sun!!! It sounds like it is it's first time here. Mercury's sojourn between Earth and our star lasted from 11:12 until 18:42 GMT. Video from our New Shepard flight on April 2, 2016 showing flight of the booster from just ahead of reentry through descent and landing. Video is from the GH2 vent camera located just below the booster’s ring fin. This is topical for Battlescape because it's a real-world shield concept. It's not an energy field, but plasma controlled by a magnetic field. It would also look pretty cool. The Magnetoshell deploys a simple dipole magnetic field containing a magnetized plasma. It is interaction of the atmosphere with this magnetized plasma that supplies a significant impediment to atmospheric flow past the spacecraft, and thereby producing the desired drag for braking. Frictional heating would no longer be of concern as the energy dissipation required to slow the spacecraft would be deposited into the plasma ions helping to maintain the Magnetoshell plasma while at the same time shielding the spacecraft itself from frictional heating. With the aeroshell now being composed of massless magnetic field, the transverse scale of the magnetic barrier can be as large as 100 meters while requiring no more than a gram of plasma. Note that while the field is massless, the magnets are certainly not. In Phase I a full system was designed for Neptune and Mars missions. This analysis showed that a 200 kg, 2 m magnet could generate a 9 m radius Magnetoshell for Neptune aerocapture with a 21 km/s injection at a peak force of 150 N entirely removing the need for a TPS. At Mars, a 2.5 m magnet could generate a 21 meter radius Magnetoshell, providing aerocapture for a 60 metric ton payload removing the dedicated aerocapture TPS and saving $2 B for DRA 5.0. So the Mars magnetic shield is a roughly 250kg magnet plus whatever is needed to power it and possibly cool it. The article makes no mention of magnetic field strengths, but I saw speculation that a 0.5 to 1.0T magnetic field would be reasonable. By way of comparison, MRIs use 1.5 to 7T magnetic fields, and even small neodymium magnets produce 0.2T fields. 1T is a very powerful magnetic field. The current ablative thermal protection material of choice is PICA. SpaceX uses PICA-X, which has a density of 0.25g/cm^3. On Dragon, the coating is 750mm thick, resulting in a mass of around 800kg. 125mm burns off during reentry, suggesting the potential for reuse. The respective masses suggest that the magnetic system could be an effective one for reentry. However, the nice thing about PICA is that you don't have to turn it on or power it up. In contrast, if the magnet is an electromagnet, then such a system represents at least one more mode of failure for a spacecraft. Certainly the plasma generators/emitters represent additional complexity. That's a really interesting concept that I haven't heard of before. Thanks for sharing! One of the technologies that SpaceX has been researching and proving(besides the landings) is the often overlooked re-entry 'braking burn'. If anything, this is just as important as actually landing the damn things, because of how the physics work out. During reentry, when the engines fire, the exhaust creates its own shock cone of plasma so the exhaust actually acts as the first stage's heat shield. What's more, is that because the exhaust expands it actually artificially increases the surface area the atmosphere sees. This is actually one of the coolest parts of the whole landing idea because not only do you use the engines to slow down, but they also act as an artificial expandable heat shield when firing. Another reason this is important, is that above a certain mass, aerobreaking just isn't effective in the Martian atmosphere and supersonic retro-propulsion is necessary. It may be worth it to also add in these magnets and shape the exhaust after the fact which seems unreasonable but cool to think about. The question is whether the mass of the magnets + power supply(electricity from turbopumps maybe) is worth the added drag area. It's also possible that messing with the exhaust plume interferes with the actual transfer of momentum/exhaust velocity and makes using engines worse. I do want to keep this page as hard science. This should go in science speculation. I for one will be glued to my plasma screen for this 3 week loop of the Moon in 2018. Hopefully all live streamed in HD, with onboard inside the crew module (hopefully with sound) to see how it all looks and sounds in flight so far from the earth. Especially watching the onboard as it goes around the Moon. If NASA take a cue from space-X and Blue Origin (onboard cam) and offer enough HD views this should be very cool to watch. article includes an audio only interview with Bart Reijnen about the service module progress. 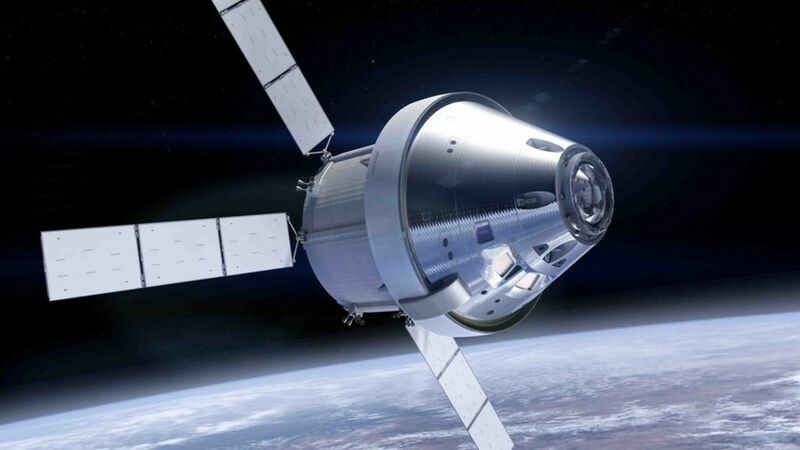 European industry has begun assembling the "back end" of America's Orion astronaut capsule system, which is due to make an important demonstration flight in 2018. "The actual moment of opposition is 22 May at 11:10 GMT; the two planets' closest approach follows just a few days later on 30 May. There will be just 75 million km between the two planets on that day." 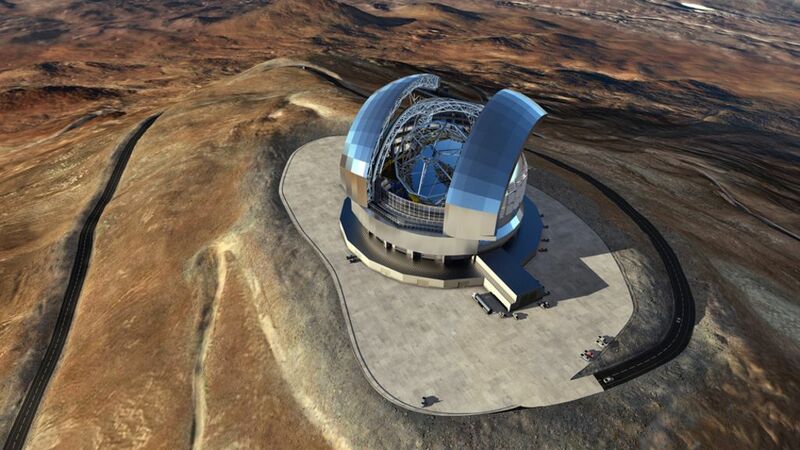 The contract is signed that will lead to the construction of one of this century's key astronomical facilities - the European Extremely Large Telescope. Some fantastic close up features. OK Now it has been reproduced. Good to see Major Tim peak and crew back safely on Earth. THe capsule loaded with science experiment samples, and other human waste and rubbish I'm guessing also. 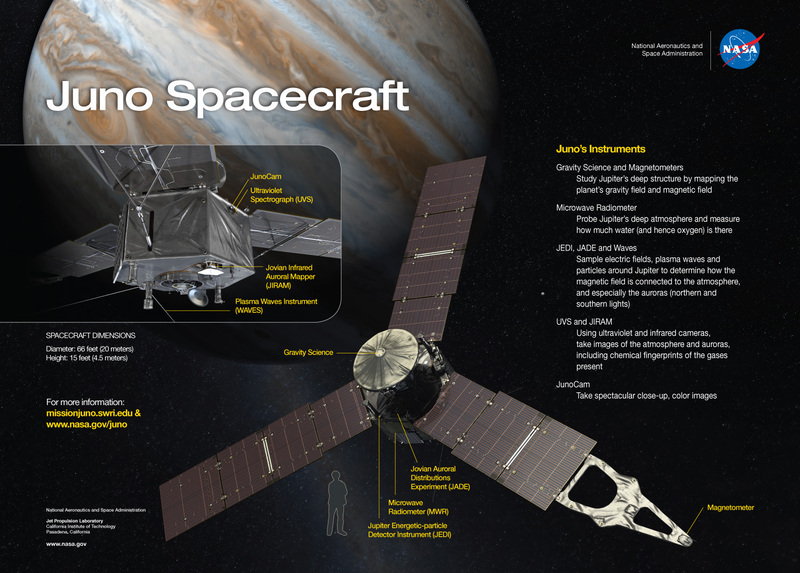 Just realised the Juno mission is coming up in two weeks. If it all works out, this could bring in some amazing shots of the cloud belts. Also it has a JEDI INSTRUMENT!